Our Tax Law attorneys provide assistance to individuals and small business owners in the Lancaster area who are involved in federal, state, or local tax disputes. Our tax attorneys work closely with clients in evaluating the underlying basis for the tax dispute, considering the available paths to resolution, and determining the strategy likely to produce the most favorable outcome. Our attorneys have a wide range of experience dealing with tax issues from the routine to the arcane, throughout all stages of tax procedure, from audits to collection alternatives. Receiving a tax audit notice from the IRS can be a stressful experience, but ignoring the notice is guaranteed to make the problem worse. Doing so may result in increased penalties and interest, the filing of federal tax liens, or even seizure of property. 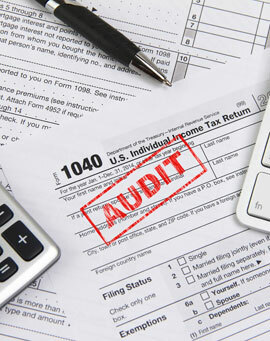 The tax attorneys at GKH can alleviate this stress by helping you make sense of the issue and explaining your options. After an initial consultation, clients typically feel as though a weight has been lifted from their shoulders. Whether the tax controversy involves an IRS examination, an appeal of an adverse ruling, representation in U.S. Tax Court, preparing an offer in compromise, or otherwise protecting a taxpayer’s right to pay no more than the correct amount of tax, GKH tax attorneys are focused on obtaining the best tax result for their clients and helping them stay compliant with their ongoing taxpayer obligations.